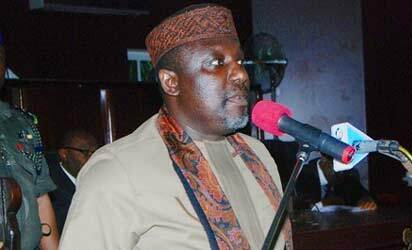 Okorocha bans Imo monarchs from speaking English at official functions – Royal Times of Nigeria. Imo state governor, Rochas Okorocha has banned traditional rulers in the state from speaking in English at official functions. Okorocha gave the directive while handing over letters of recognition and staffs of office to 19 newly recognised traditional rulers in the state in Owerri on Tuesday. He directed that every monarch must only speak in Igbo at functions and in their palaces. The governor said this was in a bid to ensure that the Igbo language did not die as predicted in some quarters. He warned that any traditional ruler who could not show genuine leadership in his autonomous community would have his certificate of recognition and staff of office withdrawn. He said: “Every community requires an Eze to function effectively as the head of the Community Government Council. Today, that responsibility has fallen on you,”. “I urge you not to fail as failure is not an option and I encourage you to help the government in developing the resources of our land. “Remember that to whom much is given much is expected. This whole exercise you must understand is not an election or appointment to enable you distinguish between those who love you and those who hate you. “Today, you are an Eze, and you must be the Eze for everyone both those against you and those who were for you. I advise you to take all of them along and embrace peace. “Your first assignment should be to invite those who were against you to make peace in your land as no Eze can function effectively if there is no peace in your land.